Have teachers focus on assignment pedagogy, not authoring technology. Have students focus on the target language, not authoring technology. Have students focus on form or content, but not on distracting formatting issues. 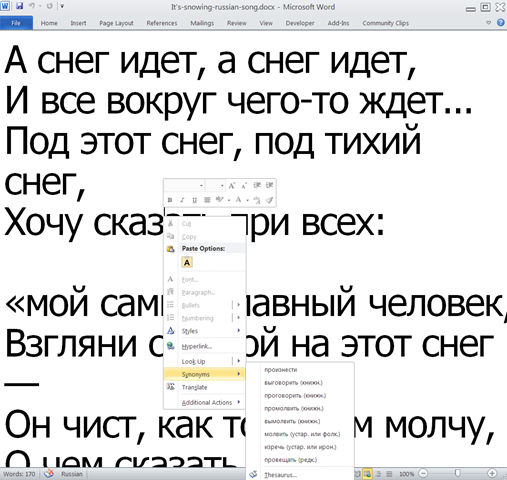 Take advantage of MS-Office Proofing tools (templates are preset for your target language). Take advantage of easy assignment file management with Sanako homework activity. Then base your writing assignment document on the template (e.g. by double-clicking the template in the folder you saved it to). Then save your writing assignment to your class material folder on the Sanako network share (from the office or in the LRC). In class, launch the Sanako homework activity. Student: none other than downloading and submitting the Sanako homework.